True stories and sightings of actual encounters with creatures that dwell in the shadows. I was quite pleased with this book mainly because Mr. Steiger places a lot of focus on the human aspects and the effect that the mysteries have on the witnesses. He presents their stories in a respectful unpretentious manner that allows the reader to decide on the possibilities for themselves. The book covers a vast variety of entities across the preternatural & paranormal realm. There’s accounts from the USA along with ones from other countries. The section called ‘Wee People’ was particularly interesting. There are 8 stories going from the benign to the malevolent nature folks, from faeries to trolls. While this book does focus heavily on cryptids and phantoms, the manner in which Mr. Steiger presents them kept me reading to see what happens next. Most intriguing! 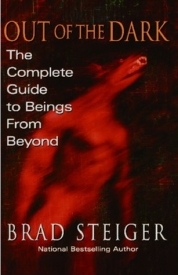 The Stieger Questionnaire of Mystical, Paranormal, and UFO Experiences, out of the 30,000 ones that were returned 19% claimed to have seen elves, fairies or some form of nature spirit.